I grew up in the western Pennsylvania town of New Castle in a family of dentists. My grandfather was a dentist and my father was an orthodontist. From the time I was 12 years old, I wanted to be an orthodontist. I witnessed the joy that my father received from the orthodontic profession and his ability to help those around him, both patients and the community. Orthodontics is a unique profession that combines both art and science. Every patient is different, so it is extremely rewarding to help individuals attain the health benefits and beautiful smile they desire. It is amazing to see how a beautiful smile can improve self-esteem. I know I can really make a difference for my patients and that difference can last a lifetime. I have been providing top-quality patient care and creating beautiful smiles since 1982. Our mission has been to provide excellent orthodontic care and exceptional customer service in a warm, caring, and fun office environment. Our staff is composed of wonderfully skilled individuals who share the same values. We strive to make patients feel like they are special and a part of our orthodontic family. My philosophy in life, as well as orthodontics, is to treat everyone I encounter as I would want to be treated. I received my undergraduate degree from the University of North Carolina at Chapel Hill, which I attended on a track scholarship. During that time, I was captain of the UNC cross-country and track teams for two years and received the E.J. Evans award for the most outstanding senior in track. I received my Doctorate of Dental Surgery and master’s degree in orthodontics at the University of North Carolina at Chapel Hill as well. I believe that involvement in my profession and ongoing continuing education are vital, both to my career and to deliver state-of-the-art treatment to my patients. 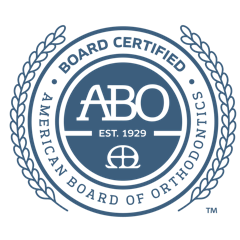 I took the extra steps to become a Diplomate of the American Board of Orthodontics early on in my career. This group is composed of only 25% of actively practicing orthodontists. 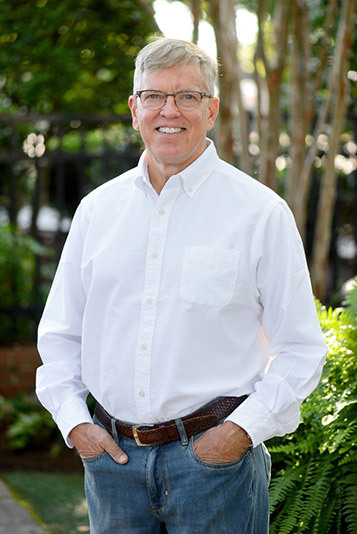 I am a member of the local Foothills Study Group, which concentrates on interdisciplinary treatment, and I continue to be active in our local, state, and national dental and orthodontic associations. My commitment to the orthodontic profession, my patients, and my community is reflected in my office each and every day. I was always taught as a child to give back more than I received and that is one of the key elements upon which I built my practice and reputation. That is who we are at Hamilton & Herring Orthodontics. We believe that community involvement and service are integral to our mission. We have always been supportive of numerous community events, and I have served on the Hickory Foundation YMCA board in the past and am currently serving on the board of the Catawba County Public Health Department. Through such service, I have had the opportunity to serve, but have also had the honor of meeting so many wonderful leaders in our community. I live in Hickory with my wonderful wife Angela (an actively practicing speech pathologist) and my faithful Australian Terrier Rosie (the real boss)! I have been blessed with four amazing children and two sons-in-law. Elyse and her husband Henry reside in Charlotte. Christina and her husband Erik are in Atlanta. My stepsons are Jesse, who lives in Chapel Hill, and Nolan in Charlotte. When I am not practicing orthodontics, studying, or attending meetings, you may find me cycling throughout our beautiful area, taking photographs, reading, or teaching Sunday school. I am truly blessed to have the opportunity to serve my community both professionally and personally. It is my hope that Hamilton & Herring Orthodontics will provide you with an orthodontic experience that will be far beyond your expectations and a smile that will be life changing!